Henrik Steffens (May 2, 1773–February 13, 1845), was a Norwegian-born philosopher, scientist, and poet. He was born at Stavanger, Norway. At the age of fourteen he went with his parents to Copenhagen, where he studied theology and natural science. 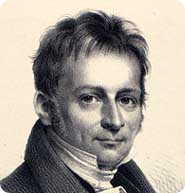 In 1796 he lectured at the University of Kiel, and a year later went to the University of Jena to study the natural philosophy of Friedrich Schelling. He went to Freiburg in 1800, and there came under the influence of Friedrich Werner. After two years he returned to Copenhagen, and is said to have introduced German romanticism to Denmark in 1802 with nine lectures given at Valkendorffs Collegium, later published as Indledning til philosophiske Forelæsninger (An Introduction to Philosophical Lectures). These lectures were a great success and a source of inspiration in Danish romanticism. They were attended by many leading Danish thinkers, such as Adam Gottlob Oehlenschläger and Grundtvig. Friedrich Schleiermacher was so much struck by their excellence that he endeavoured, unsuccessfully, to obtain for Steffens a chair in the new Berlin University in 1804, in order that his own ethical teachings should be supported in the scientific department. Despite – or perhaps because of – the deep impact made by his lectures, Steffens was not made welcome by the Danish authorities. He moved back to Germany and took up a professorship at the University of Halle in 1804, to return to Denmark only occasionally. During the War of Liberation he served as a volunteer in the cause of freedom, and was present at the capture of Paris. From 1811 he was professor of physics at Breslau until 1832, when he accepted an invitation to Berlin.